Individuals who allegedly fly-tipped fridges on the A52 near Wheatcroft Island have had their vehicle seized by Rushcliffe Borough Council officers and Nottinghamshire Police. It follows several incidences of fly-tipping in the area, leading to the use of CCTV capturing those in the act during December 2018. 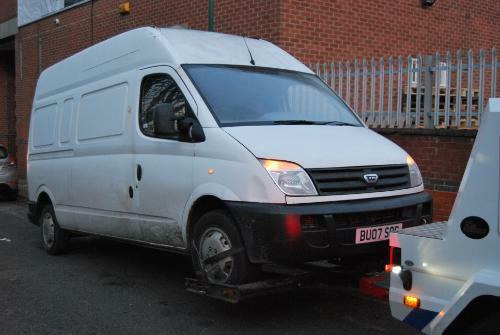 A white van linked to the fly-tipping was confiscated on January 11 on Grant Street in Nottingham. Rushcliffe Borough Council’s Deputy Leader Cllr Debbie Mason said: “This successful seizure once again demonstrates the hard work of our Environmental Health team who identify vehicles involved with fly-tipping. This entry was posted in Police and tagged Nottinghamshire Police, Rushcliffe Borough Council on January 17, 2019 by West Bridgford Online.